Are you thinking ahead and ensuring the future of your blog is as bright as it possibly can be? If not, you should be. Doing so will help you gain a greater foothold in the world of blogging and potentially help you grow your audience significantly over the long-term. 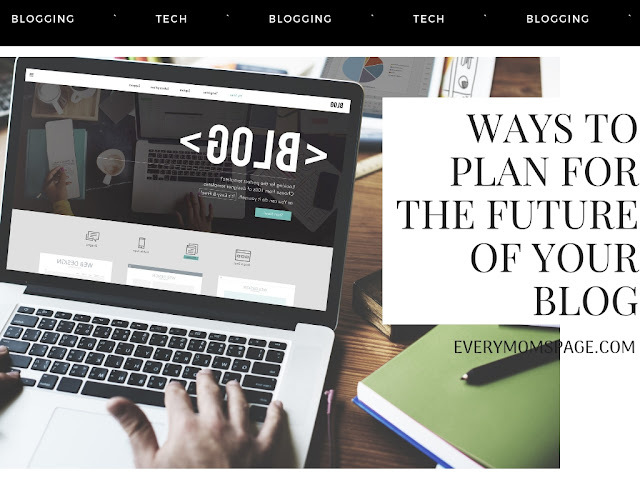 But how should you go about planning for the future of your blog? What goes into it? That’s what we’re going to find out now, so read on. In order to plan for the future, you need to have a full and well-rounded understanding of how your blog is actually performing. If it’s not performing well enough, you’ll know that changes are necessary. But you also need to know which kinds of posts succeed and are read most and which are not read so much. That data could help shape the content of your blog going forward. Ensuring your blog is as secure and safe as it can possibly be is obviously important. If you are not able to stay safe, your site, business and visitors could all be at risk. You should aim to protect your company with Netverify from Jumio if you feel this is necessary. And generally make sure that there are no gaps that can be exploited in your website. The plans you put in place for your blog shouldn’t remain confined to the immediate needs of the blog. Instead, you should branch out and think about where you want your website to be in 5 years, 10 years and even beyond that. These long-term plans can shape your actions in the months and years ahead as you drive your blog in the right direction. If you’re going to keep your site moving in the right direction and you’re going to make it sustainable, you need to be making some sort of money from it. So now might be the time that you start thinking about monetisation strategies and which ones best suit your blog. It could be ads, affiliate marketing or selling products directly to your audience; it’s up to you. You should also put plans in place for the most likely worst case scenarios you can think of. Having contingencies and backup plans in place make it easier for you to adapt and shift when you need to. Those worst case scenarios aren’t likely to come to fruition, but it still makes sense to plan for them and be ready for them regardless. Not doing so could put your entire blog and its future at risk, so don’t let that happen. Long-term planning is essential for bloggers. Even if your blog is doing well right now, you can’t take things for granted and you can’t assume that things will carry on that way. Only planning ahead and making sure your blog is fit for the future will make that happen for you.